National India Refinery is involved in bringing forth premium quality Copper Wire for the clients. We offer 100% weather-proof Copper Wire that is suitable for both domestic and industrial electrical transmission applications. Apart from the high thermal conductivity, the Copper Wire offered by us is appreciated for its excellent corrosion resistance, high strength and flexible nature. 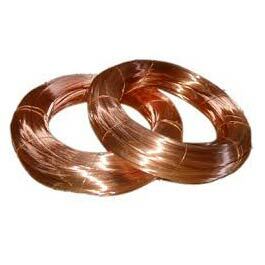 The Copper Wire is made available in different lengths, diameters and cross section areas at nominal prices.